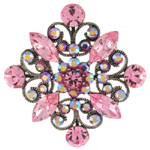 Circle filigree corsage brooch encrusted with rose pink and AB Swarovski crystals on an antique silver frame and fastens with a flag pin and revolver clasp. 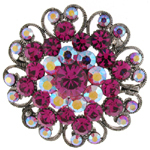 Size: 4.8 cms. 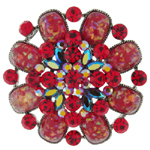 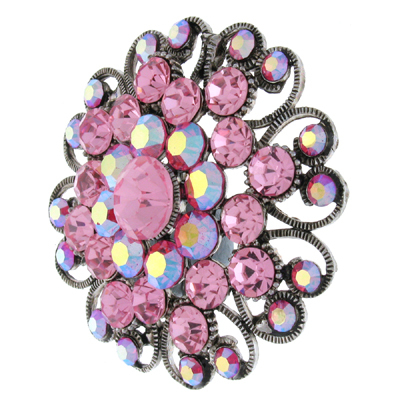 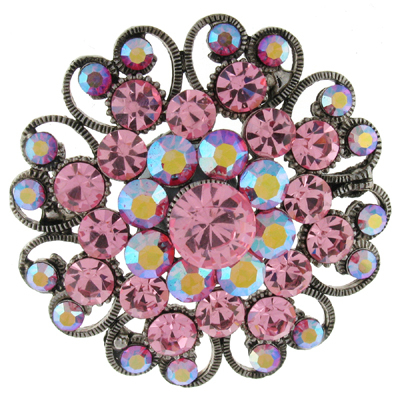 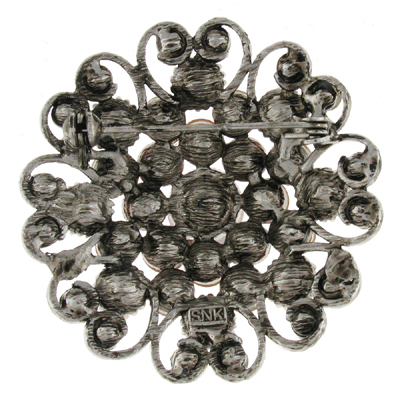 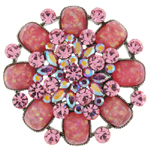 Dare to dazzle with this radiant brooch.